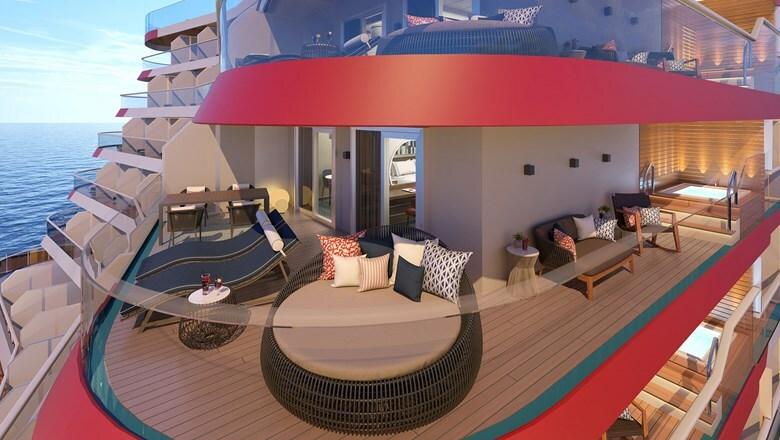 Carnival Cruise Line will debut a new open-air enclave on the Mardi Gras called Loft 19, which will be open to all passengers but available to suite guests on a first-access basis. Loft 19 will have an infinity pool, bar service, 108 sun loungers and 12 cabanas available for rent. It will be separate from the Serenity adults area, which will be in another part of the 5,200-passenger ship. Other amenities of Loft 19 include plush towels and bathrobes, cold bottled water and fresh fruit upon arrival, chilled towels, cabana-style lunch delivery, cabanas stocked with beverages and concierge service during rental periods for cabana-related requests. Access to Loft 19 will be by reservation. Unlimited access to Loft 19 will be a feature of a new category of suite on Mardi Gras called the Excel Suites, which will include 32 suites in four categories. There will be 12 Excel Corner Suites with large wraparound balconies, a wet bar and areas for lounging and dining. There will also be 12 Excel Aft Suites with wraparound balconies, a private outdoor hot tub and areas for al fresco dining and relaxing. 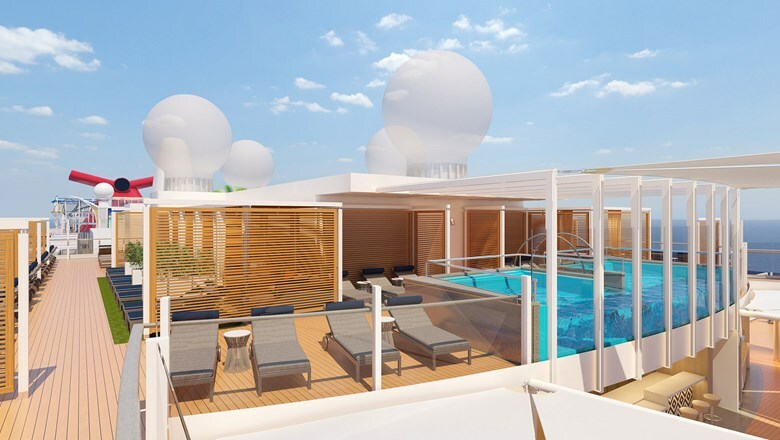 Six suites on decks 10, 11 and 12 will be classified Excel suites, and two accommodations on Deck 17 will be designated Presidential Suites, which will be the largest in Carnival’s fleet with expansive balconies, a large sunbed and a private outdoor hot tub and shower. Also included are access to the spa’s thermal suite and the Havana pool area. In total the Mardi Gras will have 180 suites in 11 styles, including Ocean Suites, Havana Suites, Family Harbor Suites and Cloud 9 Spa Suites.